The corpses of dozens of soldiers and civilian Joint Task force (JTF) members killed by Boko Haram in Metele, Borno State, have still not been evacuated, SaharaReporters has learnt. "It is devastating. 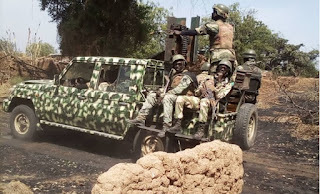 More than 120 killed, including civilian JTF members who used to assist our men,” he told SaharaReporters.